Would you recommend the Front and Rear "A " Spec Angel GT's or are the regular GT's just fine? 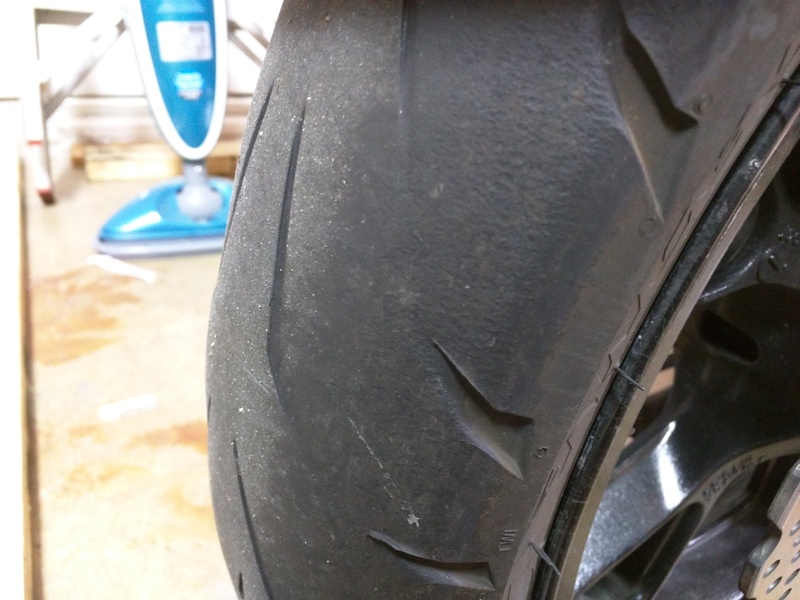 Thinking about trying the Angel GT's but I just love my Michelin's PR 4 GT's...Need to replace the front after more than 9K miles and I still have plenty of tread left on rear tire after 4500 miles. Have read enough comments to at least try the Angels. Price is lower than the PR 4's also. A Spec only applies to the rear. The front is the same tire anywhere. Actually there is an "A" spec available for the front also. Slightly increased load range is the difference. Stiffer carcass. Oh no kidding. I never saw it listed anywhere. 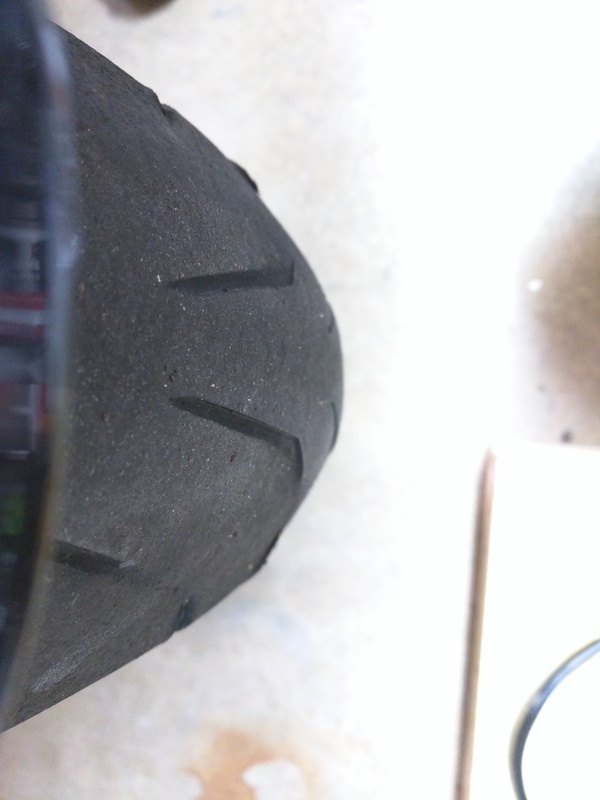 Revzilla lists them for the Connie sizes. Just checked it cuz I was sure there was actually a front available. I never noticed. Checked it now. I probably would have went that route if I would have seen it. Considering I'm going to need a FRONT tire first, I will go with the A spec front this time, before my road trip next year for sure. Anybody seen any good deals on SpecA's anywhere? 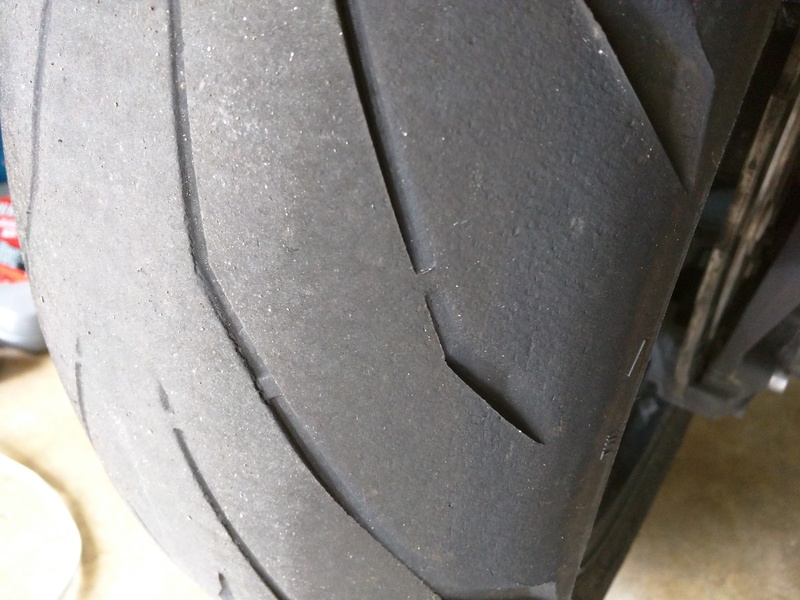 Checked REVZILLA last night, and looks like $200 for a 190/55, and $140 for the front. Not bad if you are riding that way. I don't do a lot of hard accel. Unless you count exiting corners. Don't have much need to. During some quick passing needs on back roads yes, but I'm pretty gentle with it otherwise. I tend to 'lean' on the side of tire conservation on 700+LB bikes. 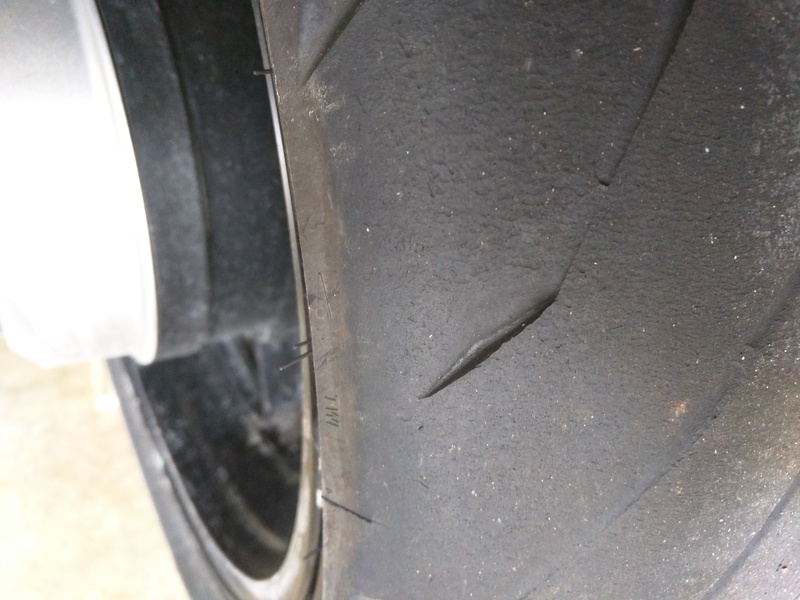 Tire conservation? What the heck is that? How does it work on a C14 rocketsled? Do you have some specially machined stop thing for it? haha. Yah its my wallet. I used to worry about conserving them - but now I favor Use Em up, and get a new set. What's better than a fresh set of Skins on the old girl to make you fall in love ALL OVER again!?! I'm getting slow. That took 67 seconds! Being 2000 miles from home, is why, for me. And, a wake-up call when I nearly lowsided pushing it too hard. Better lucky than good any day. All the skill in the world won't save you when it's your time. Or the traction control light is flashing! Being a 300lb rider single up on a C14, even without cargo we weigh over 900lb. I'm thinking I'm looking for A spec if I want to get any sort of reasonable mileage out of a new set of tires. My Michelin PRt2's are getting awfully squared off. I got mine from Revzilla, prices seem to go up and down,place to place??? 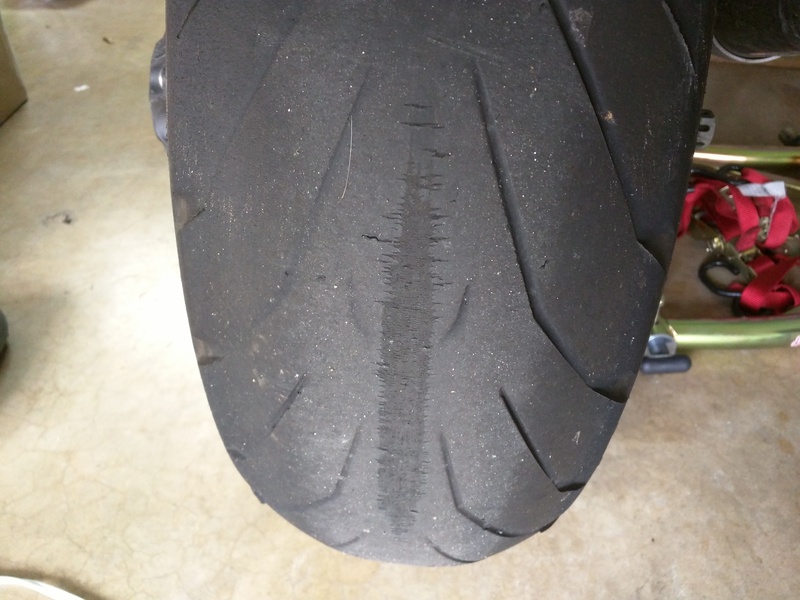 7000 miles on my rear Pirelli a spec.I thought it did not grip as well as my Pr2.Although when it did break loose it was pridictable .We ride the twisties a lot.The older the Pirelli got the better it gripped though.FYI i weigh 300 lb.Putting a new set of Pirelli GT A spec on now.Will give a full report when i have rode them some. ..so I just got back from a ride in Arkansas and after this trip I ended up with 6900 on the Angel GT's and they are officially DONE. I'm very happy with almost 7K and Will be replacing them with A spec FRONT ( This time ) and rear. I could have gone a bit more on the back, but as you can see its done in the center and almost to the metal. The front? WHAT Wear bars! I wore them right off. The last 100 miles on these tires back to the motel were pretty squirmy on the sides, but never lost control or got too unsettled but I did have to dial it back. That last 100 miles was in the rain so traction was not what it would have been on dry roads. Over all very good tires. And will be ordering up a new set soon and testing the NOMAR.